Tomorrow 11th of June, Padel Dam, the new padel center in Amsterdam will open its doors. Padel is difficult to find in the big cities of Holland. Until recently there were no padel courts available in what is perhaps the most emblematic city in the country: Amsterdam. 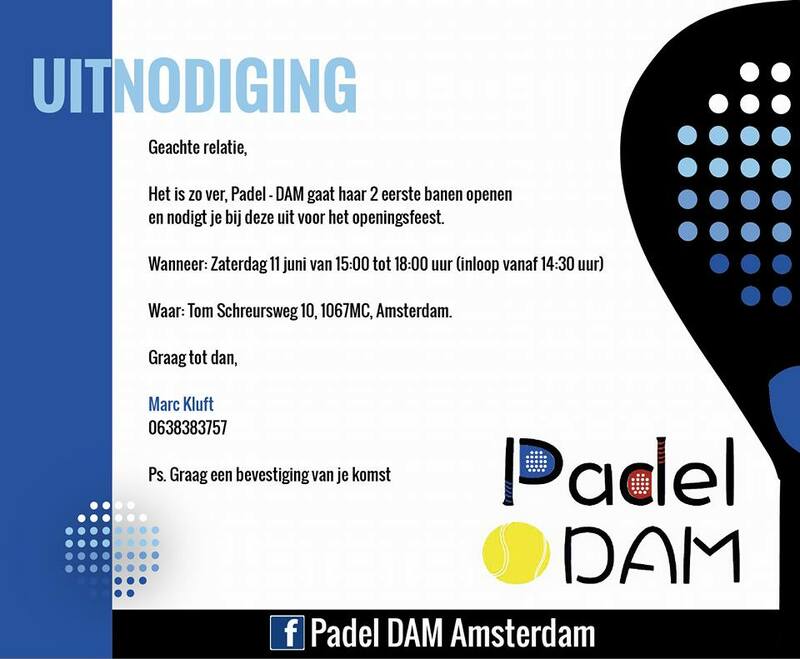 With the opening of Padel Dam, Amsterdam will suddenly have two padel clubs. The project is lead by Catalan-Dutch founder Marc Kluft Rovira. Son of Dutch father and Catalan mother, Marc was born in Den Bosch. At the early age of three his family moved to Barcelona, where he grew up, but his Dutch roots always pulled him back to Holland. Being a passionate sports instructor and padel player, few years ago he set his mind into building a future within the padel industry. He moved to Holland and enrolled in the prestigious Johan Cruyff Institute to complete a Master in Sports Management. With the diploma in his hands, he decided to build a padel center in Amsterdam: Padel Dam. Tomorrow from 3pm there will be demonstrations and clinics, tapas from catalunia, DJ, cava and champagne as well as many special guests. Marc Kluft promises plenty of follow up activities including clinics, tournaments and fun events. The first tournament will be organized in July.